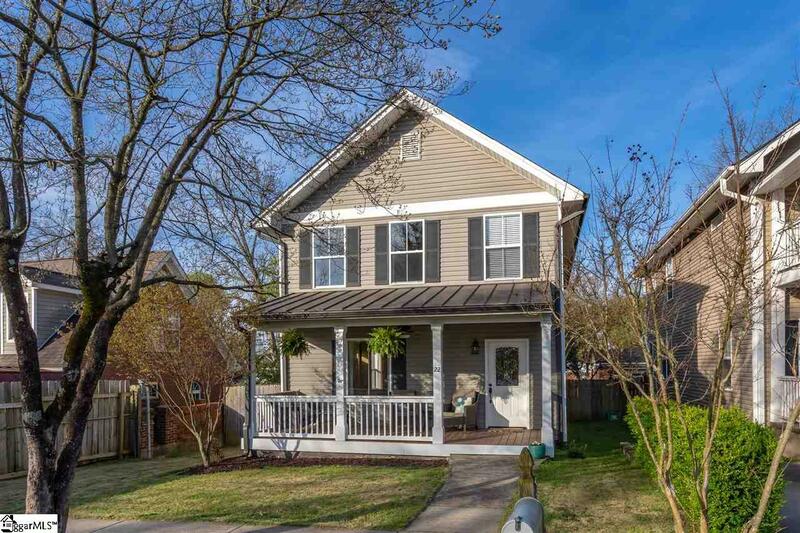 Walk or bike to downtown from this updated home on quiet cul-de-sac. The original 1940's character has not been sacrificed. High ceilings and heart pine floors remain and the floorplan is open and filled with light. There is an eat-in kitchen with granite countertops and stainless appliances. The laundry is large with good storage. A private powder room is tucked under the stairs. 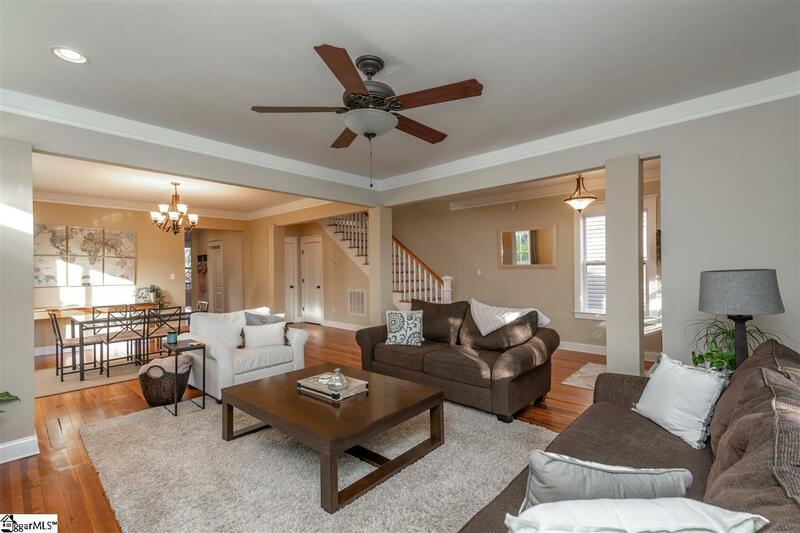 The high ceilings and heart pine floors continue upstairs where you will find 3 bedrooms and 2 baths. The master bath features a separate shower and jetted tub. 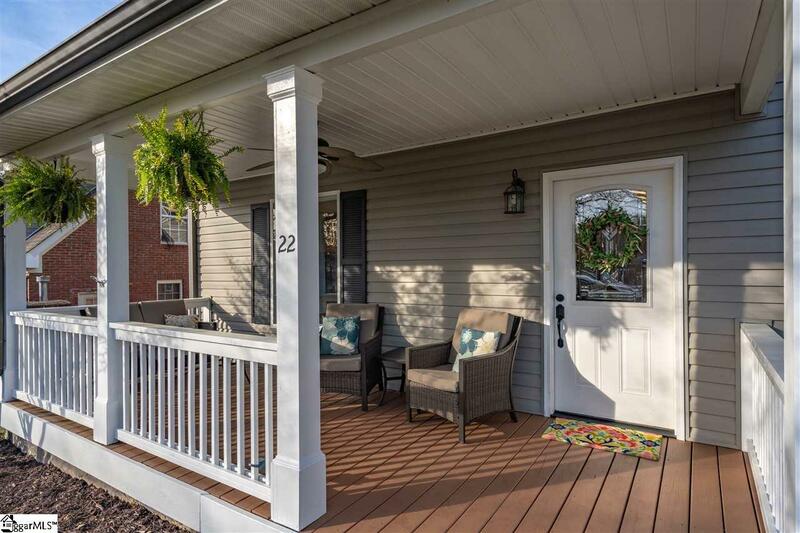 Relax on the front porch and listen to raindrops on the metal roof or enjoy the private back yard from your spacious deck or patio. 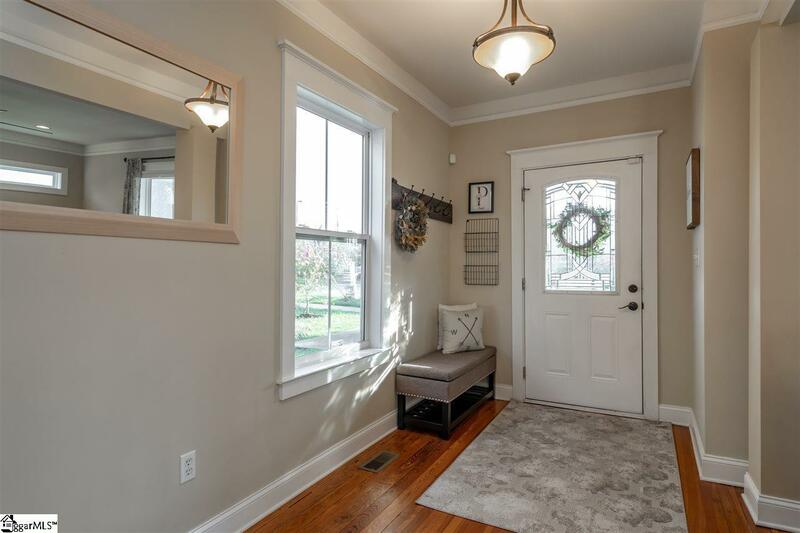 Charming home in move-in condition! Listing provided courtesy of Debbie Moseley of Coldwell Banker Caine/Williams. © 2019 Greater Greenville Association of Realtors Multiple Listing Service. All rights reserved. IDX information is provided exclusively for consumers' personal, non-commercial use and may not be used for any purpose other than to identify prospective properties consumers may be interested in purchasing. Information is deemed reliable but is not guaranteed accurate by the MLS or J. Michael Manley Team. Data last updated 2019-04-23T11:01:09.533.